I really like this message as the beings of The Circle of The Light of The Love Energy say that people on Earth are under their care and that they want to help us! These beings are energy/consciousness, unlike us they do not have physical bodies. They say that they work for the Source. You can also listen to the original recording by following this link http://wp.me/p1SxgP-1ij …. 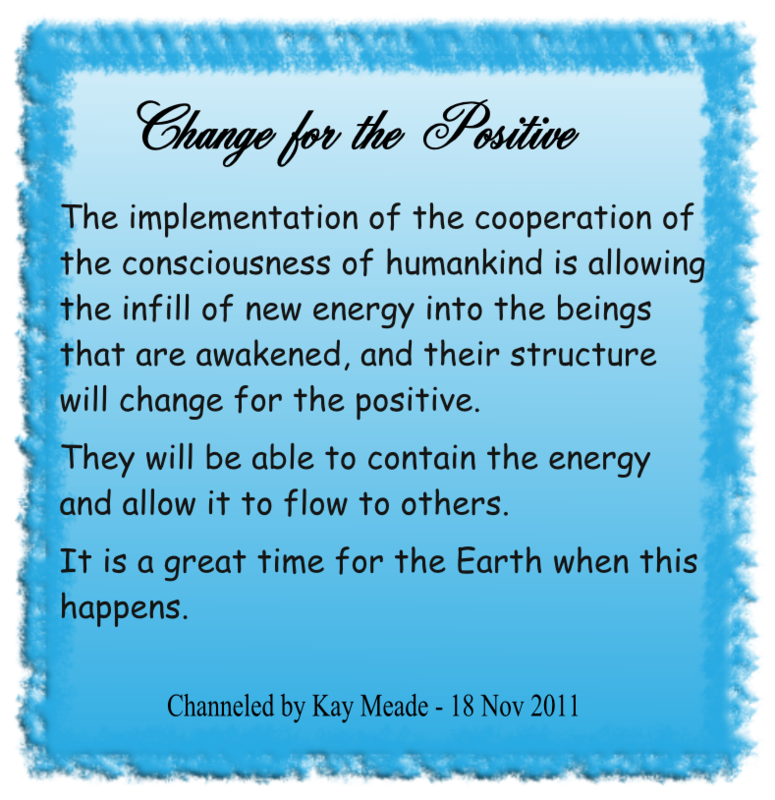 This is one of the earliest messages that Kay channelled from The Circle of The Light of The Love Energy when they were first asking us to spread the messages channelled from them through Kay. 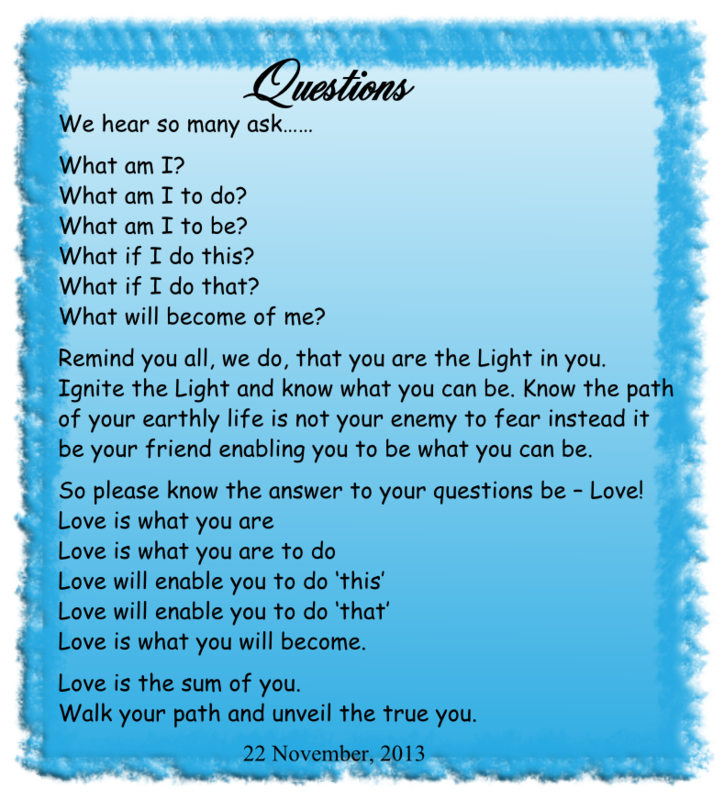 It was received in December 2009 and I am including it as background to the messages that I post:……………..
Kay, breath it in, draw it close, be anointed and then allow this energy that anoints you to anoint others. Absorb the energy now, allow it to penetrate every part of your being and connect with us again. 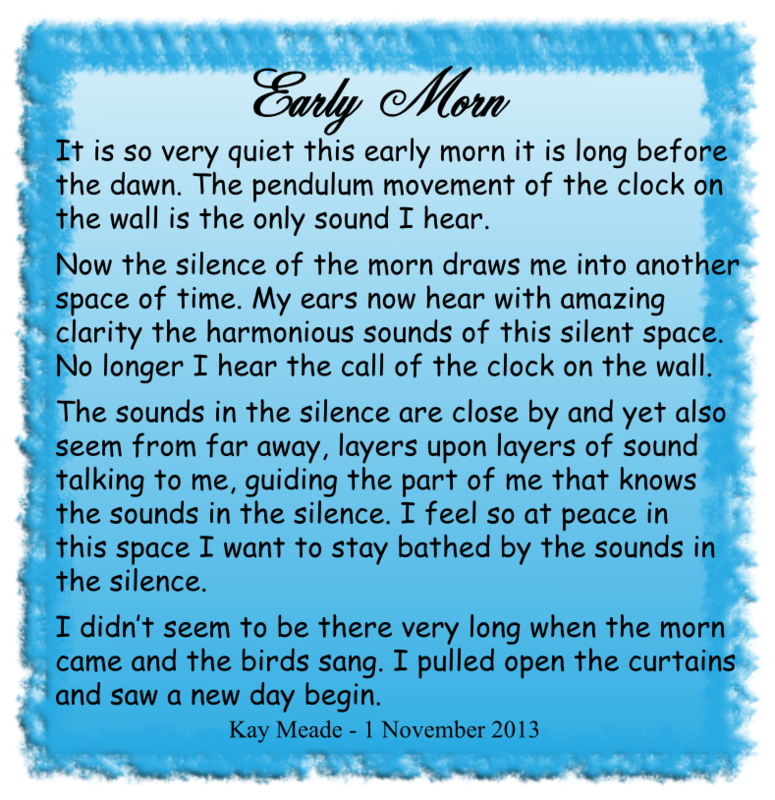 A related message was received at a later date:………..
All messages received are genuine, full of importance, and we ask that their meaning is expressed as given. Genuine in every way – they are. Much trust is needed now to expand the circulation of all information. No more doubting of the whereabouts of the information. Rest assured the words are from us – carry genuine codes of what is needed now. Some will read and not understand. Some will listen and not hear. But those who register will gain and benefit and share and expand and that is what we ask. Those who are ready are who we want to reach. Everyone on Earth is at a different level of understanding of the concept of the future of Earth, of their own spirit; all can be given the opportunity to see and hear, but not all will be ready. The messages are authentic and come from a special source of pure white light energy and needs to touch those who are ready. Messages are given in many ways – simplicity being important in presentation. Present as given! All need to be given the opportunity and we want all to be given the opportunity and then the choice is theirs to investigate further or ignore. It is a choice – so spread the information widely. 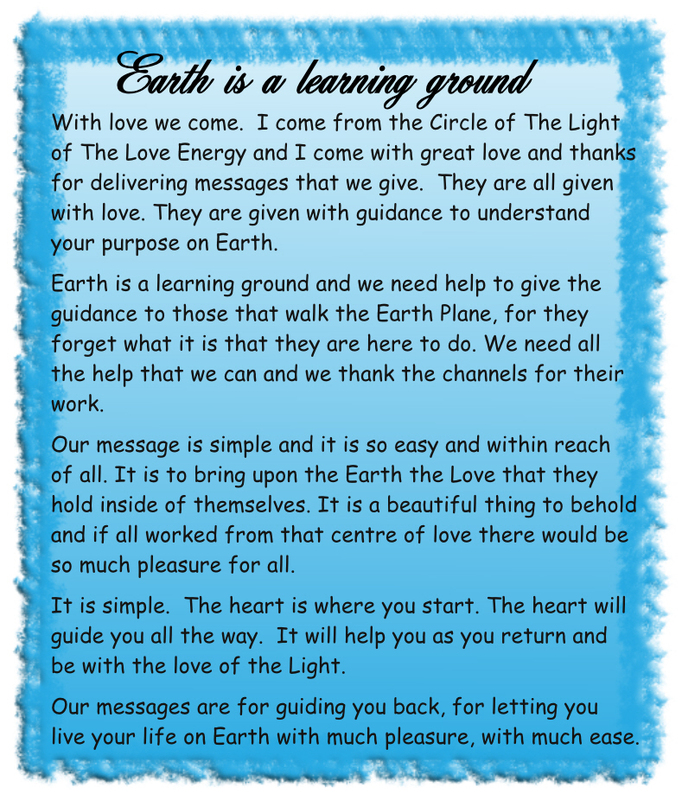 This message is part of the introductory material included in the book ‘Earth Messages of The Love Energy’. 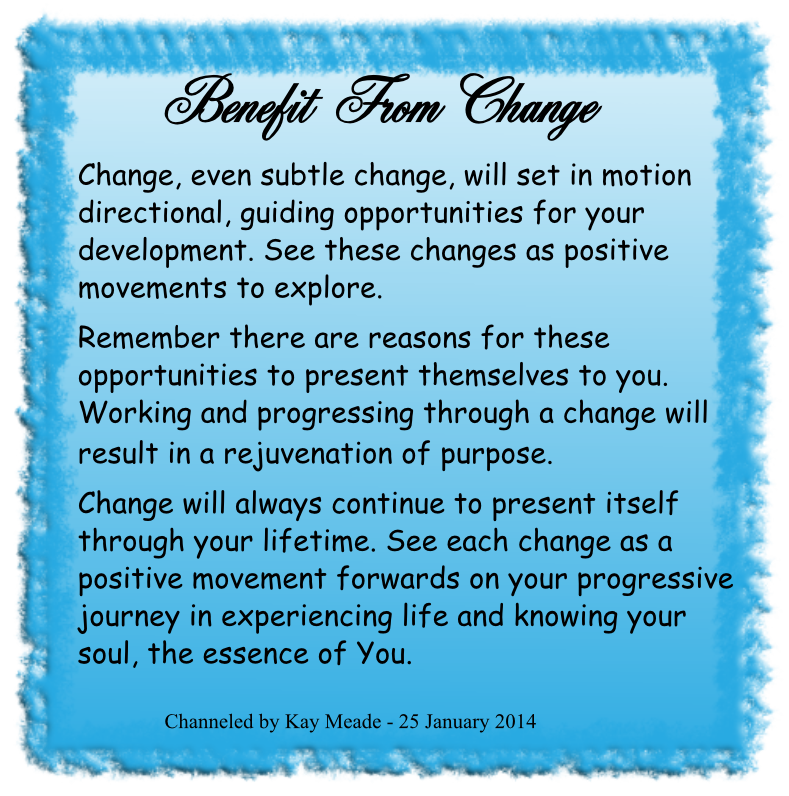 The book contains the first 50 or more messages that Kay channelled from The Circle of The Light starting mid 2009. The book is available from………..
* Paperback and Kindle e-book from amazon.com. You can use Amazon ‘Look Inside’ to view a sample of the book.